This weekend selection is focused on keeping our mind in vacation mode. We’ve already checked out and we’re thinking of sunny beaches, layers of blankets and infinite mojitos. These songs give that impression, in one way or another. Chicago-based musician Geminii shares “Hip Hop Junkie” with the opening line, “I’m just a young, black female with a death wish.” We’re hooked with her direct lines and chill instrumentals. “Reason Why” is a new one from Banadu, who blends funk bass, synths, distant and textural vocals with shoegaze guitars to depict that dream vacation you’ve been waiting for. Viniloversus explains that their newest 80’s electro-tinged single, “So Many Stars” is about “being here and now and a reflection on different perspectives of our reality.” We get it and we want their reality. 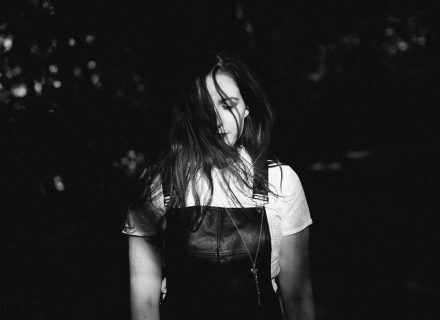 Sixteen year old singer/songwriter Kaeyra shares “Fountains of Gold”, a highly personal look into the emotional life of the artist and a narrative most of us can relate to. For such a young artist, Kaeyra’s developed a strong persona within her music alone. After initially disbanding in 2015, Seattle surf-pop dreamers Seapony return with “What’s Gonna Happen”. This is their first new material in two years, and this jangly single’s got us awe-struck. Dream pop duo Peredmova indulge in their British and American dreamy shoegaze obsession all the way from Kyiv, Ukraine. “Казкові Сонцепади” is a memorable addition to the genre, offering “gentle euro pop surrounded by soothing girlish intonation”. Steve Benjamins tells a story about cycling “between hope and despair” through his latest release, “Purification Ritual”. The single is equal parts honest, vulnerable and full of vivid emotion. Swedish producer Ibra-Heem and NYC-based vocalist Hannah Sumner sweep us all off our feet with “Fairytales”, a chillwave dream full of feminine woos.